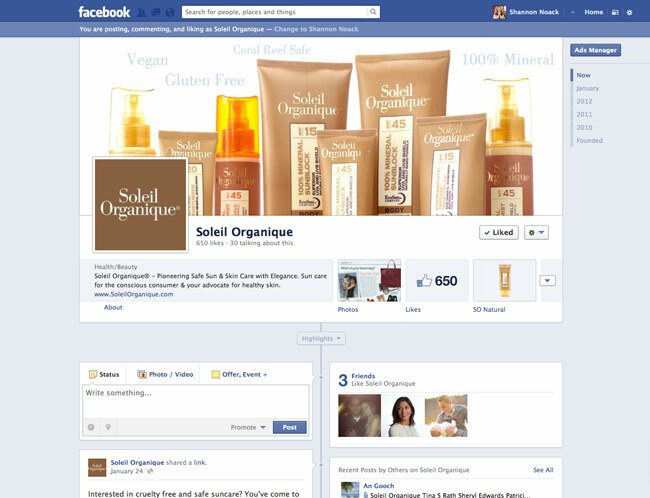 Soleil Organique sells natural skincare and beauty products, and needed a great custom Facebook experience for their fans. We set them up with a great cover image that powerfully showcases their beautiful line of products. We also included some words that describe more about the company and their products sprinkled across the top.